Dr. Victoria » Could this possibly be an evolutionary step? I know a lot of older people who are very annoyed at the younger generation for walking around with headphones all the time. All kinds of arguments against it are being used. 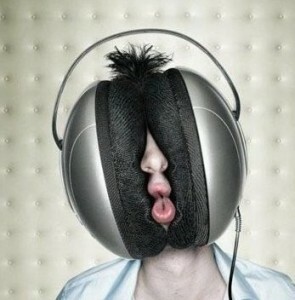 It is bad for your hearing, it is anti-social and it is dangerous in traffic! One can routinely see the younger generations walking, running and even cycling in traffic with headphones on. So the other day I put on my new bass headset, pumped up some music and started walking down towards town. It was great! The streets were pretty empty so I even did some dance moves in the streets feeling so incredibly happy and free, always making sure to cast a glance backwards to check for oncoming traffic, since I wouldn’t be able to hear the engine noise through the bass. Then it hit me! Could this actually be an evolutionary step for the newer generations? The reason why this thought hit me is because in Norway we now have quite a large percentage of our car pool as electric cars. More than once I have almost been hit by cars in the parking lot because I am “old school”; I use my hearing as much as my eyes when it comes to traffic. When I cycle in traffic, I routinely use my hearing in order to orient myself with oncoming cars. However, in this new electric era, the cars are more silent than my bike! I have on more than one occasion had to jump out of the way of these silent heavy pieces of metal so as not to be squashed. Could it be that a brilliant side-effect of all the ear-pumping bass is that you are forced to use your eyes more than your ears in traffic, and in some years that will prove a definite advantage, since I imagine the percentage of electric and hybrid cars will only increase. Hmm… interesting! Do we have here another example of a frowned upon youth behavior, that in the end will be an advantage in the life of the future? You know, like women’s lib or “loose behavior from women” as it was seen as back in the day. I don’t know, but the possibility is definitely there. I think I will now incorporate wearing headphones in traffic more often just to reteach myself how I navigate. It could prove to be a lifesaving retraining of my senses after all. Happy bassing!